June | 2011 | "How Would You Fix...?" You know the fact that Mystique’s code-name means ‘air of mystery’ suggests she is a character with an aura of intrigue surrounding them but perhaps also hiding an identity we’re already familiar with. I have another theory, but don’t worry. It still connects with the Shi’ar. She wears a death-skull, we know according to Claremont that her surname was intended as Raven (further representing death), and first name, Eric (see Figure 1 in Part 1 here). 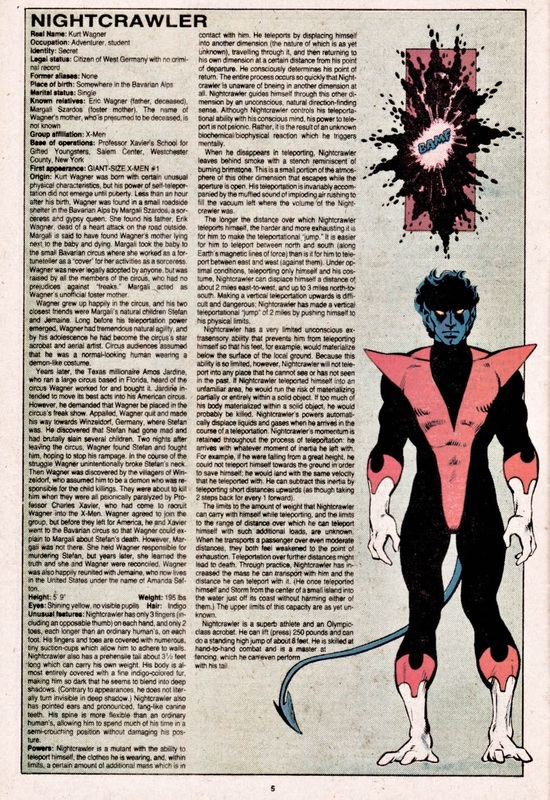 Now recall despite Nightcrawler’s origin not being revealed as far back as 1983, his father is named in the Official Handbook of the Marvel Universe #8 as Baron Eric Wagner. Back in the 1980s Gruenwald mentioned that, where possible for characters whose origins hadn’t been revealed he would request some brief details from their then writers which he and Peter Sanderson would then build on but still leave room to not contradict their intentions. So was it Claremont’s intention at one point that (s)he was masquerading as Baron Wagner at the time. If so this would not only suggest (s)he was Kurt’s father, but if we follow Gruenwald’s above suggestion, Claremont may have planted the clue as far back as 1983 that he intended Raven’s first name as Eric with a ‘C’ perhaps as a further clue to her using the identity of Davan Shakari. So what if Erik Lensherr was a name Claremont had included in his notes in connection WITH Magneto, but wasn’t the pseudonym he intended FOR Magnus? What was that intended connection? I’ll get there but for a moment I’d like to refer for a moment to Magneto’s wife, Magda. 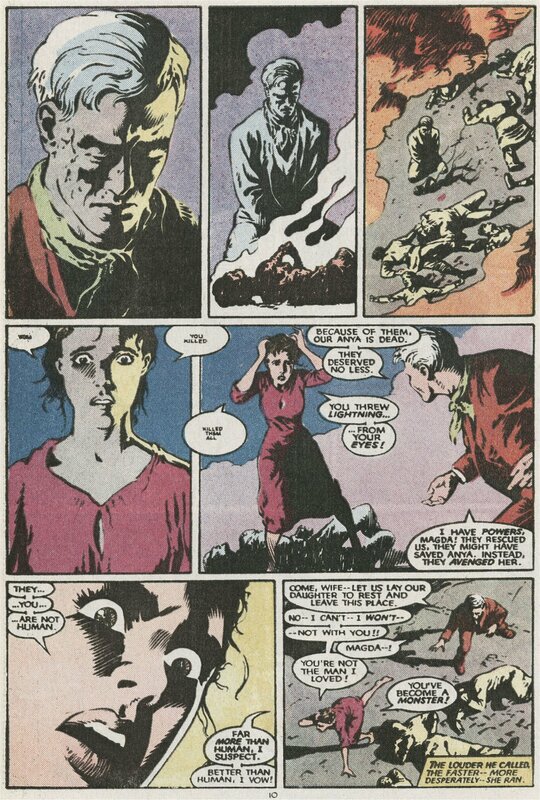 While it is claimed that Magda walked out into the frozen wastes to die after the birth of her children, Wanda and Pietro, this never quite made sense when you consider she survived in the frozen wastelands after escaping Auschwitz, despite her physically debilitated state. 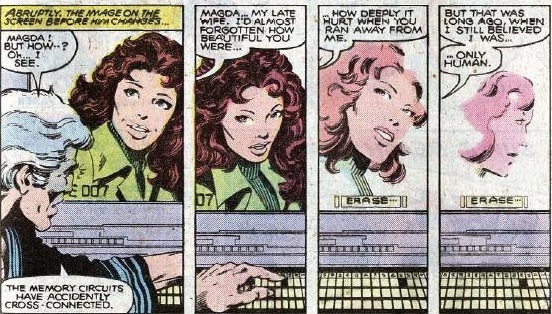 While Magda appears to have abandoned her children, Wanda and Pietro, convincing everyone she left them and walked out in the snow to die, is she in fact still out there alive and someone we have previously encountered without realising her true identity; perhaps a red-haired character with an ‘air of mystery’? We know after Magnus kills that crowd in Vinnitsa, she shouts that he’s a monster and flees from him. So was Magda Mystique? The name Lensherr is not really a surname but a title effectively meaning Baron or Count in German. So was Eric Lensherr meant to suggest Eric the Baron/ Count, a title (s)he would go on to adopt after fleeing Magnus or leaving Wundagore? But what about the Shi’ar connection you say? 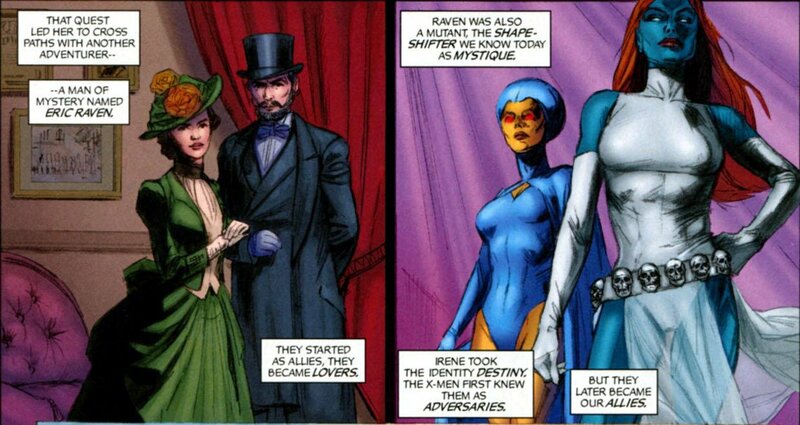 Well firstly given Claremont’s stories show Irene working with Raven much earlier than Magnus’s time with Magda, since she had hired Raven to help her interpret the visions transcribed in her Diaries (influenced by the Shadow King), had they identified Magnus as a key player in mutant events so Raven assumed the identity of Magda becoming his love in the camps and then abandoning him in his moment of need to help drive him to become the mutant terrorist we know and love/hate!? …and when he couldn’t do it right, she stepped forth from the shadows reigniting the conflict herself through her establishment of her own Brotherhood of Evil Mutants who made it their mission to assassinate Senator Robert Kelly?! I mean doesn’t everyone think it’s strange that despite both operating in Europe and becoming terrorists, Magneto and Mystique were never revealed as having worked together? Raven even followed his example and formed a Brotherhood of Evil Mutants. But if she was attempting to avoid him discovering she had been masquerading as his wife Magda this might actually make sense! Was the small skull on the centre of Mystique’s forehead, just below her hairline, intended to slyly clue us in to the fact that she was meant to be a character previously believed to be dead, and her red hair meant to further suggest her connection with her daughter, Wanda? Don’t worry, this doesn’t necessarily rule out the Shi’ar connection since the surname Adler is German for bird of prey or ‘eagle’ and is most notably used as such in heraldry! What if Raven is not the sister supposedly murdered by Deathbird, but rather her assigned protector; what if Irene is instead that sister? With regard to the scanner Forge designs capable of identifying human, mutant, Kree, Skrull, Wraith, etc. upon switching it on in UXM 184 Forge identifies only one mutant …himself … failing to pick up on Raven’s mutant signature. While he might have chosen to not give her identity away, does this suggest her power being the result of something else? While the technology could pick up aliens too, would he not be more likely to give her up if she was alien as opposed to one of his own kind? Recall his comments after scanning the room make him appear surprised about Raven’s reactions, but if he picked up that she was like himself a mutant, he surely wouldn’t have been. So why didn’t the tech identify her as a mutant? 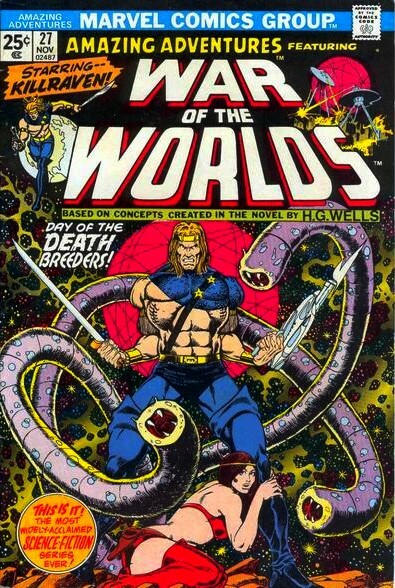 If Mystique is Eric Raven did Claremont intend this whole plot to tie into the War of the Worlds? Has this been Raven’s agenda all along, ensuring mutants are protected so they can provide defence against the Martians? 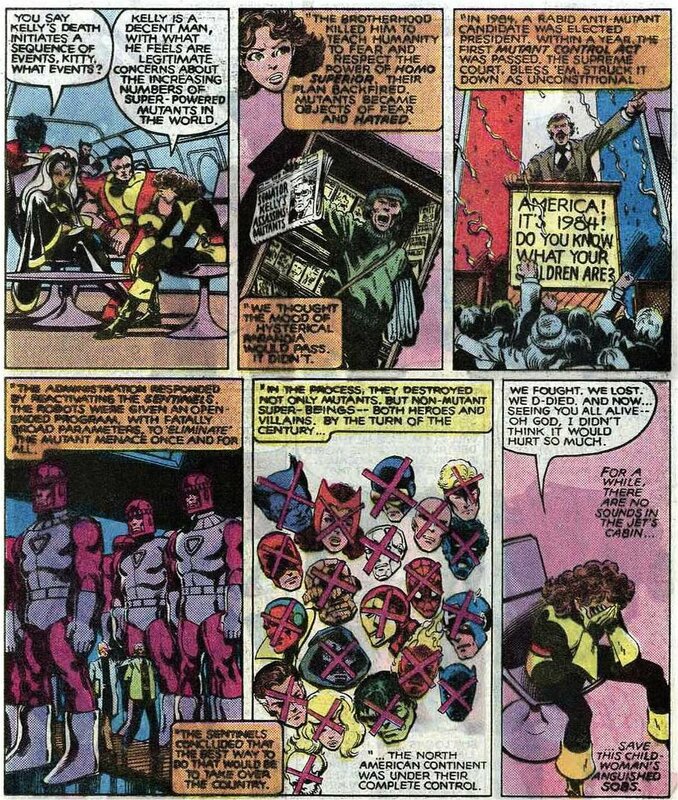 If (s)he isn’t a mutant, as suggested by Forge’s scanner in Uncanny X-Men #184, is (s)he from a race previously persecuted by the Martians who fled to earth? Was her intention to reveal that (s)he was the true father of Jonathan Raven (aka. Killraven), and Irene his mother, hence his extrasensory ability? Is translating the meaning behind “Claremont” names the key to finally breaking open the mystery behind his longest standing stories?! My own mother’s maiden being that of the surname of his character, Heather Cameron (aka Lifeguard), this made me recall it is Scottish for ‘crooked nose’. With Heather’s later transformation revealing her Shi’ar royal ancestry, this made me wonder whether the ‘crooked nose’ is meant to imply an avian beak! 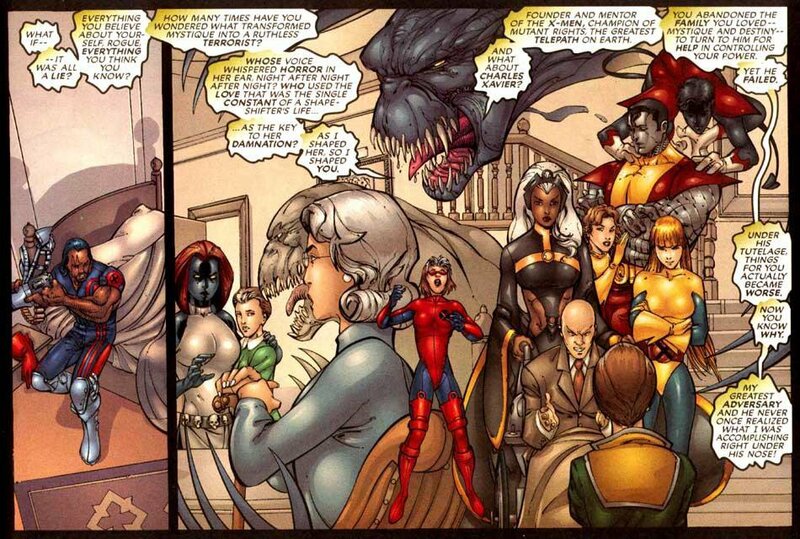 Now given the entry from Destiny’s Diary in X-Treme X-Men #10 reveals that Heather was “Mothered by War”, fans have previously taken this to mean Claremont was implying that her mother was Deathbird. However, given Claremont gave Heather the code-name of LIFEguard, was this meant to clue us in to her mother’s attributes being the polar opposite to that of her murderous sister who represented DEATH? 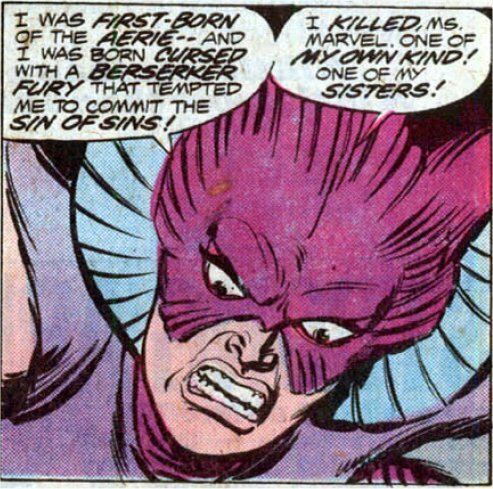 So did Claremont intend the diary entry to instead suggest that Heather is the half-Shi’ar offspring of Deathbird’s unnamed sister whom she supposedly murdered? 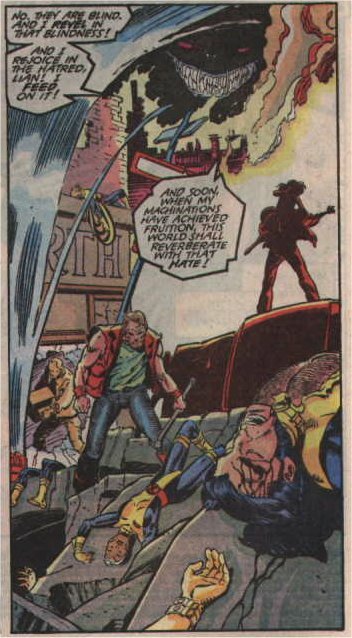 Figure 20: is Lifeguard the half-Shi’ar offspring of Deathbird’s unnamed sister whom she referred to murdering in Ms. Marvel #10? But I’m not stopping there! Setting aside her name of Raven, did you know the word Mystique translates directly as ‘air of mystery’? So not only does Mystique’s surname refer to a ‘bird of death’ but her code-name refers to her mystery being related to ‘AIR’. Does this finally reveal that Mystique was an Aerie? Now recall that Lifeguard’s ability to register danger enabled her to obtain the powers, and or forms, necessary to save her or others, the powers and forms she took being determined by the situation she was in and adapting accordingly. So did Heather inherit her ability to shape-shift from Mystique? Well we know that while Heather was in space her shape shifting DNA brought out her natural Shi’ar heritage, but when she was on earth the royal Shi’ar markings had not manifested despite her mutant abilities having done so. So is this why Mystique showed no obvious signs of Shi’ar heritage – because she had been stationed on Earth for a long while? If Lifeguard inherited her shape-shifting ability from her mother, did she likewise inherit the ability to register danger? That is, if Mystique is Heather’s mother did (s)he secretly manage to survive Deathbird’s attempt on her LIFE because, like her daughter, she was able to sense danger within a 30 metre radius, after which she replaced her body with that of a similar Shi’ar and thereafter fled to Earth? Does this finally explain why Deathbird came to Earth? Did she somehow suspect her sister had survived and intended to seek proof of her treachery so she would no longer be exiled from her empire? That is, had D’Ken and Mystique conspired to kill their mother and frame Deathbird to prevent her claiming the throne since she was the first in line for it?! 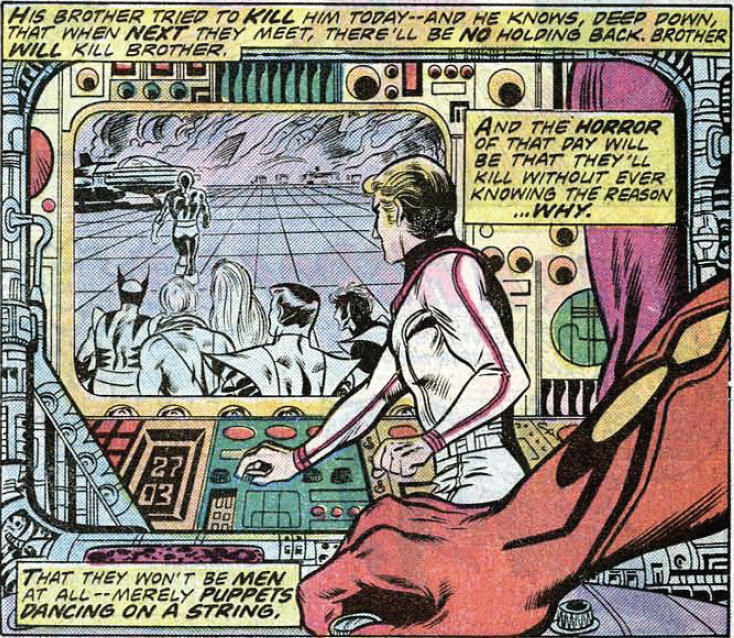 It just never seemed to make sense that Deathbird would jeopardise her rightful claim, but it didn’t seem to be beyond of the realm of capability of her brother. 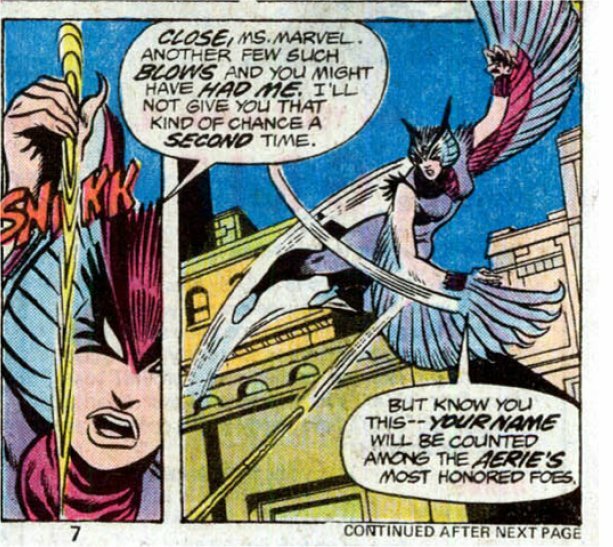 A clue here includes Deathbird not necessarily considering herself exiled from her race early on since she indicates in Ms. Marvel #9 that Ms. Marvel’s name will be counted among the Aerie’s most honoured foes. The Shi’ar would surely count Ms. Marvel as an honoured ally if she fought the exiled Deathbird, not a foe!? So does D’Ken’s sister-in-arms, Mystique, station herself on Earth to their mutual benefit, where she takes up numerous identities, including that of a male Shi’ar agent, Davan Shakari. On this point, recall how Lilandra had stated in Uncanny X-Men #107 how Shakari had been “our agent on Earth” (see Figure 5 in Part 1). 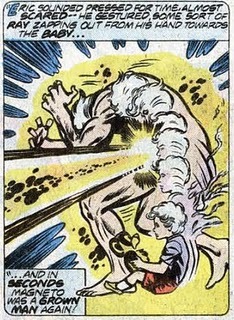 This never seemed to make sense when you consider the reveal in Uncanny X-Men # 105 that he had been exiled to Earth. However, keeping my above theory in mind it does. 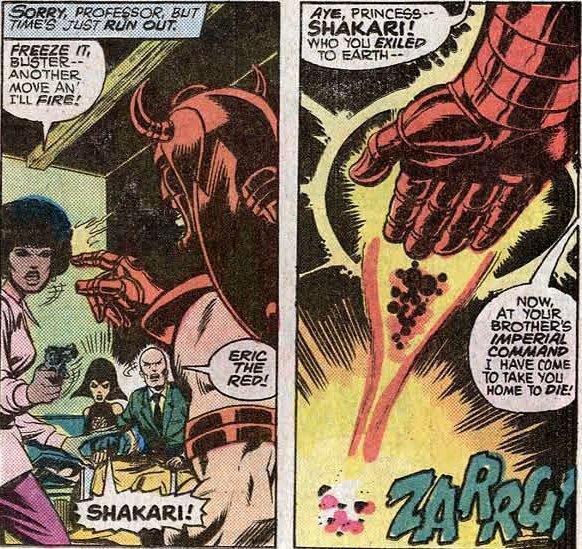 That is, Davan Shakari was stationed on Earth by the Shi’ar Empire first as their loyal agent, but upon Mystique fleeing there, fearing the empire would take note that more than one Shi’ar was stationed there, she killed him and took his as one of her many identities. I would further posit that the original Shakari stationed on Earth had never taken the identity of Eric the Red, but that had instead been Mystique’s doing, her taking utter delight in the irony not only of using the spelling of the Christian name she had adopted upon settling on earth (i.e. Eric Raven) but also an identity previously used by one of the surviving sons of the family her brother had abducted from Earth year’s earlier. So when did Mystique originally arrive on Earth? Had she been a passenger on the shuttle that abducted Christopher and Kate Summers? At the time Claremont was originally writing these scenes the year these events would have occurred would be approximately 1953. Now why is this year significant in Claremont stories? Despite Claremont’s revelations since returning to the X-titles that Mystique is over one-hundred years old, you’ll recall him revealing during the fox-hunt sequence in Uncanny X-Men #170 that she would not be born for another 170 years from 1783 (i.e. 1953). Was this meant to suggest that her life as an Earther didn’t begin until 1953? If so, she would have been deposited on Earth at about the time Christopher and Kate were withdrawn from Earth by her brother. 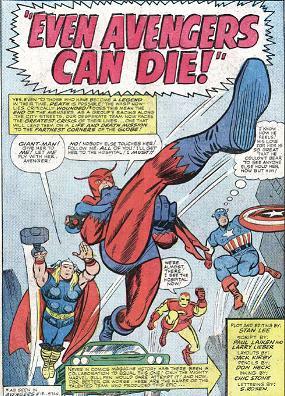 Interesting is it not, that Mystique first appears in the same title Deathbird is introduced in, Ms. Marvel! Well, shock horror, I’ve returned to my ongoing obsession to address the abandoned plots of Chris Claremont, this time through a 3 part series that will look back in time some thirty-five years when the walls between his world-building on Uncanny X-Men and Ms. Marvel were extremely thin. The mystery of who Claremont originally intended ERIC THE RED to be has existed for 35 years now, but I believe evidence to promote MY theory that he was Mystique in disguise was recently provided by Claremont in the flashback scene in Chaos War: X-Men #1 he wrote where Moira MacTaggert reveals that Destiny’s quest to protect humanity led her to cross paths with a man of mystery named ERIC RAVEN. It’s previously been a mystery why Davan Shakari more often spelled it ERIC when the original identity used by Cyclops was spelled ERIK. 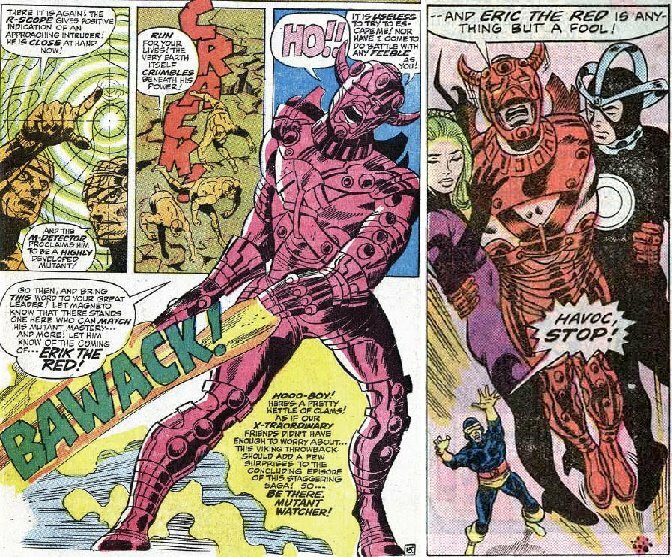 Figure 2: Cyclops spells it as Eric the Red while Davan Shakari spells it as Eric the Red, from X-Men 51 and 97 respectively. However, if Eric was Mystique’s original Christian name, did Claremont choose the latter spelling to provide readers with an extremely veiled clue? I think so!!! During Chris’s X-Men: True Friends limited series, set in Edinburgh, Scotland in the year 1936, Mystique is portrayed working alongside Logan and Irene Adler as a MAN called “Mr. Raven” (obviously ERIC Raven). Since you’ll recall Claremont later revealed Rogue’s official name as Anna Raven in X-Treme X-Men, (s)he must have been using this surname to imply that “Raven” was Mystique’s official surname if (s)he was Anna’s adoptive parent. Recall how the panel of Davan Shakari in shadow has a human male profile in Uncanny X-Men 107 and not the plumage shown when he is later unmasked. 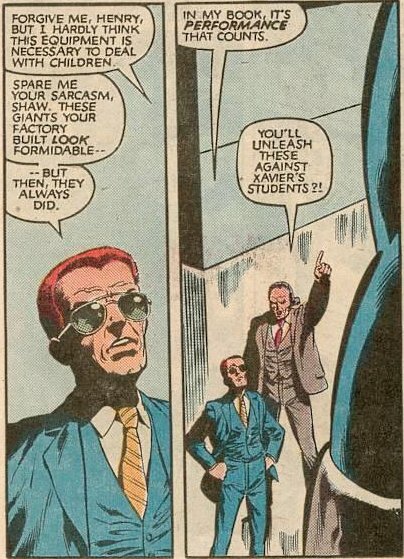 This makes me believe Claremont and Cockrum originally planned for Eric the Red to be a human agent of D’Ken, with Claremont perhaps changing his mind after he received the illustrated pages back from Dave, writing the dialogue to reflect this change. 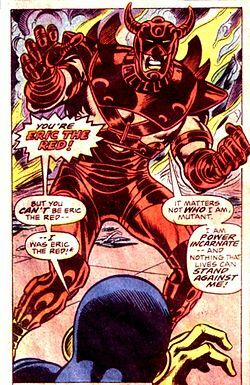 Hence, I would posit that by suggesting Eric the RED was a Shi’ar was Claremont’s sly attempt at a RED HERRING to put us off the truth (as Mystique of all characters could have easily metamorphed into a Shi’ar). 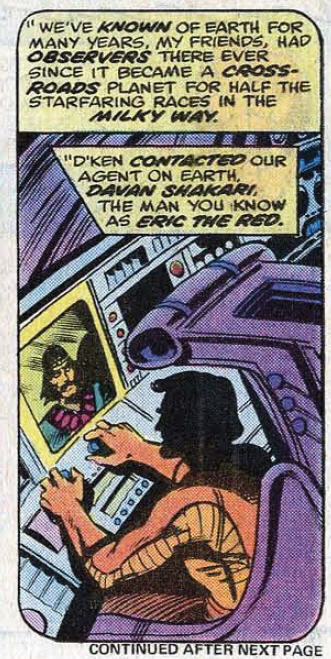 …was Eric the Red further intended as Rossi, who, while working for the government as a middle-man between Lang and the Council of the Chosen, was secretly a human agent of the Shi’ar?! A further clue Claremont possibly provides to hint readers into this intention is the fact that ROSSI is a renowned surname in Italy which means “RED”. 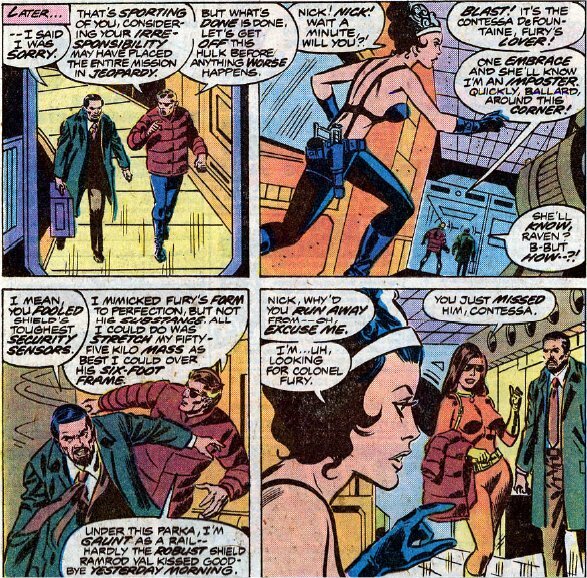 Given Claremont’s later introduction of Mystique secretly working with the Council of the Chosen to rip SHIELD off by infiltrating a SHIELD Helicarrier as Nick Fury, compare this with the next time we see Rossi after his supposed death “infiltrating a SHIELD Helicarrier” in UXM 182 where he uncovered details of Hellfire Club agents operating inside the spy agency. Did Claremont intend to reveal that Mike Rossi, and for that matter, Eric the Red, were really Mystique in disguise? I always thought it was rather interesting that Mike Rossi, a government agent, was so interested in protecting mutant rights. But if he was Mystique, then it makes perfect sense. But if Rossi was really Mystique this wouldn’t be that much of a stretch when you consider she also masqueraded as government agent, Raven Darkholme! 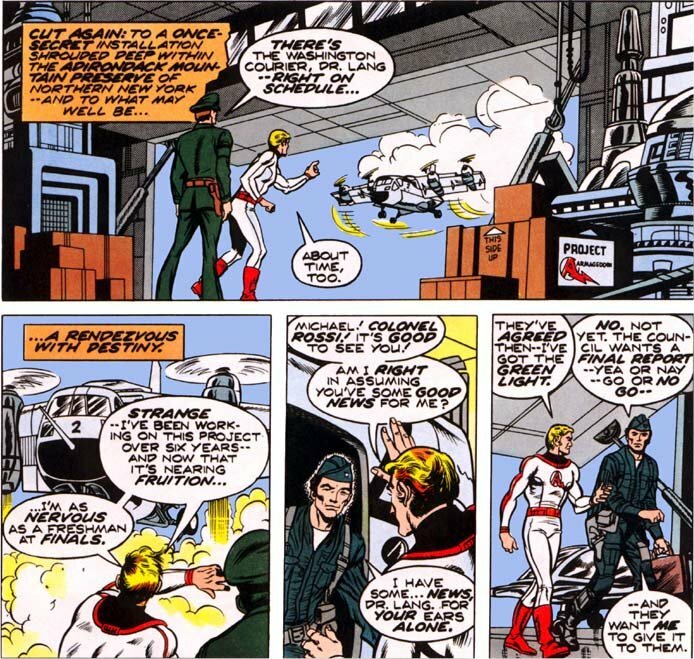 Recall that Carol Danvers had first met Mike Rossi JUST AFTER she joined the Air Force. Now further recall that Mystique was made aware by Destiny that Danvers would be important to their mission, a so-called “lady of the clouds”. Did Mystique therefore adopt the identity of Mike Rossi to get close to Danvers to keep an eye on her, like she later would with Rogue? 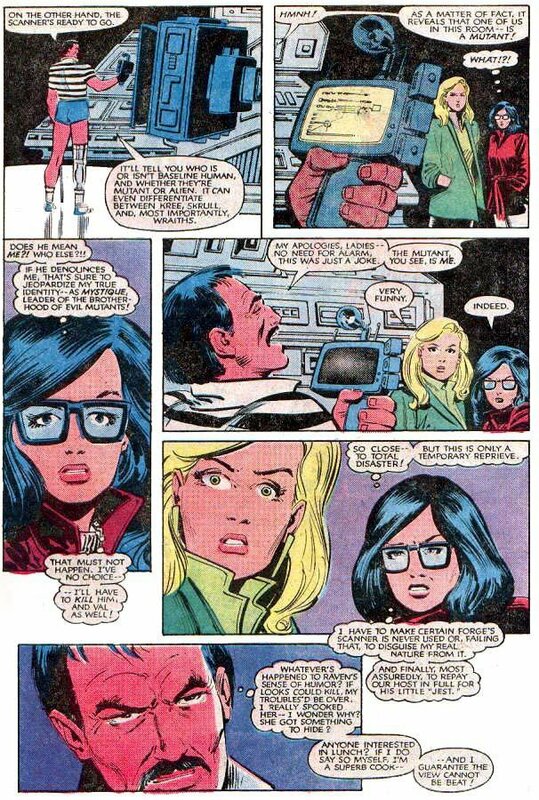 At this stage assume that Destiny hadn’t quite predicted that Danvers would cost Rogue her soul and possibly her life, due to the Shadow King’s manipulation of her visions in X-Treme X-Men Annual 1. 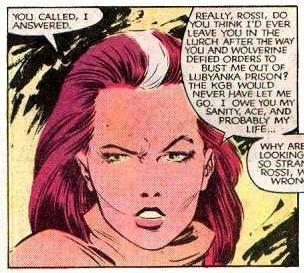 Now further recall the mission Logan and Mike Rossi were on to free Danvers from a Lubyanka prison where the KGB was holding her. For some odd reason this draws parallels to Logan’s earlier mission in True Friends where he was working with Mr. Raven & Irene Adler. Did Rossi/ Raven seek Logan out for this mission due to (s)he earlier knowledge? If Rossi was Mystique this would better explain how he survived the plane crash outside Red Hook (I further wonder if Claremont intended a little Lovecraftian connection there;) How interesting that the reading of “his” mind by Emma Frost then leads to the Hellfire Club’s anti-mutant agenda being overthrown, the organisation going on to be lead my mutants. Even more interesting is how, after his recovery, Rossi goes underground as Raven Darkholme is introduced as Assistant Secretary of Defense for Research and is believed dead for some years. 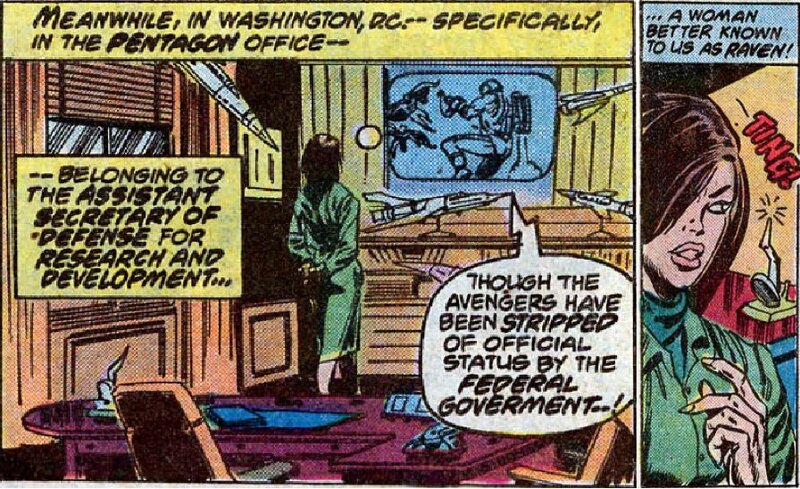 …this could explain Mystique’s earlier mission for the Hellfire Club on the SHIELD Helicarrier. 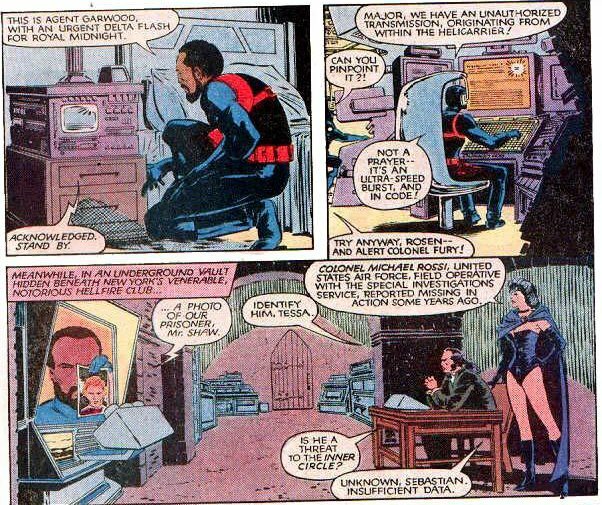 Had Raven infiltrated the Hellfire Club when first introduced in an effort to uncover SHIELD’s involvement in the manufacture of Sentinels? Then consider Claremont’s recent revelation that SHIELD has been infiltrated by the Consortium who are revealed to have been the ones behind the Sentinels throughout Marvel’s history. Don’t you just love the idea of Mystique masquerading as these other major supporting characters, Eric the Red, Mike Rossi, etc. ?